H&L Roofing Solutions Pty Ltd have over 15 years experience repairing, replacing and installing roofs across the Sydney area. Our team are equipped to quickly and efficiently service the Northern Beaches, North Shore and entire Sydney Metropolitan area. H&L Roofing solutions is owned and managed by Mark Hill. With 15 years industry experience and local knowledge our reputation has been built on quality, honesty and integrity. H&L Roofing Solutions is committed to offering our clients exceptional customer service. Owner, Mark Hill personally oversees each and every project on site to ensure that operations run smoothly and to schedule. This also means that he is always on hand to answer any questions you might have during the project. Understanding key elements such as communication with owners and builders is an important aspect which allows H & L Roofing to finish all their projects on time, on budget and hassle free. Communication with and respect for our clients amongst our tradesmen and labourers is paramount across all our projects. We value our clients’ opinions and work towards building strong partnerships. Our integrity, attention to detail and direct focus on our clients’ needs have helped us to develop many valued long-term relationships. 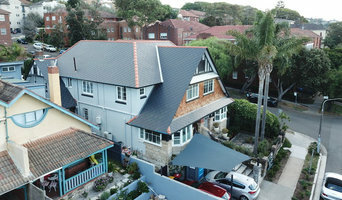 Heritage Slate Roofing, based in Sydney, Australia, was founded by Kyle Glasby and Luke Godden, who have over 20 years of combined experience in traditional roofing. We are a joint company with extensive experience in Australia, Wales and England. We only use licensed tradesmen and will always have at least one director working on-site at all times. Renowned for our great attention for detail, we have worked on some of the biggest slate jobs in New South Wales, England and Wales. Both directors of the company hold a Certificate III in traditional slate roofing and license to trade. Natural slate harmonises perfectly with modern architecture. Its durability and beauty make this traditional building material the perfect choice for any cutting-edge design. 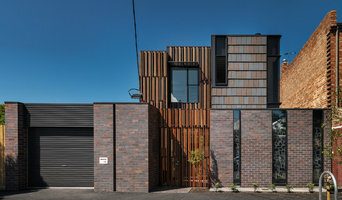 Historically associated with roofing, natural slate is now used for cladding façades, giving a contemporary look to any kind of architectural project. One of the main properties of natural slate is its adaptability. Nevertheless, slate has always known how to evolve through time. It is one of the most versatile natural products used in architectural design and goes hand by hand with the architectural progress adapting itself to new trends. Its sophistication, resistance and durability give the surface involved a certain prestige, guaranteeing a far longer service life. Present throughout the history of mankind, natural slate is a classic and irreplaceable element on the roofs. You can see lots of natural slate roofs in houses dating back more than 200 years ago. That also gives you proof of its durability. Natural slate properties remain intact and performs for many years to come. 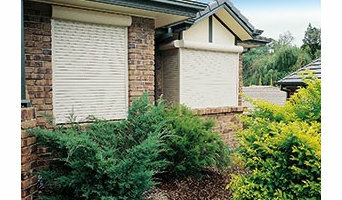 The reliability and beauty of the products make it the ideal solution for architectural purposes. There is no other material that compares to natural slate! Award Winning Sterland Roofing has quickly gained a reputation as a well-respected and trusted company - not only by our clients, but also by our peers in the industry. You can rely on our experience across methods of applying copper, zinc, stainless steel and Colorbond roofing and wall claddings. Our wide-ranging industry expertise means Sterland Roofing can provide experienced and professional advice on your project, from the planning and design stages through to completion. Protecting the people we love for over 100 years in roofing. Monier has a proud tradition of manufacturing quality concrete and terracotta roof tiles in Australia, from Australian materials. Monier roof tiles are backed by a 50-year performance guarantee. For most people, your home is the greatest single investment you will make during your life. Visually, your roof contributes significantly to the overall appeal of your home. Choosing wisely will reward you by adding beauty, character and value to your home and Monier can help you achieve this. We provide all roofing services, specialising in metal roofing, colorbond, aluminium, zinc, copper. American Shingles are the Australian importers, suppliers and installers of the premier range of roofing shingles from CertainTeed Corporation in the US. With an American Shingles roof, you can be sure of the benefits of a stronger, lighter and durable roof to enhance your building and create that point of distinction. With our aesthetics and your imagination, American Shingles will provide a roof that will not only last the rigours of the Australian climate but turn heads as well. An American Shingles roof is the perfect solution for extreme coastal environments as our range of shingles are inert and unaffected by salt laden environments. This coupled with the shingles be manufactured to withstand winds up to 175km/h make it a clear winner on the coast. American Shingles can also accommodate roof pitches as low as 10 degrees, far exceeding minimum pitches for tile or slate roofing to open up your options. Don’t curb your imagination by the limitations of conventional roof linings, American Shingles can be contoured to create seamless cone roofs and other assorted shapes. American Shingles.... A Great Design Alternative. 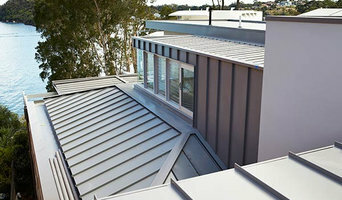 Element Metal Roofing are a group of passionate roofers working throughout Sydney and Wollongong. Our team strive to deliver nothing but the best! Sydney roof as the name implies is a roofing company that has serviced the Sydney Metropolitan area for the past 30 years. We have expertise in both domestic roofing as well as commercial work. After 30 years there isn’t much that Sydney Roof hasn’t seen or worked on. We cover all aspects of roofing from leaks, re-roofs, guttering, downpipes, metal or tiles, skylights, remedial work, insurance work, wall cladding just to name a few. If it’s above the gutter line Sydney Roof handles it and has expertise in it. You can feel confident that your job whether large or small is important to us. We pride ourselves on our ability to handle the job from start to finish using only handpicked tradesmen who do the job to our standards. Customer satisfaction is always our aim and at Sydney Roof, we pride ourselves on acquiring a large portion of our ongoing work coming from the work of mouth of satisfied customers. Sydney Roof will never mislead you into services or products you don’t want and don’t need. Our quotes are backed up by photographic evidence of the work we tell you that you need. We also provide before and after photos as proof of the work being completed. No longer do you have to wonder if what you’re paying for on your roof is actually what has been done. Sydney Roof is a fully licensed and insured company with safe work practices and honest and genuine concern for the customers we service and their needs. At all times when dealing with Sydney Roof, you are in control and your opinion is always important to us. We will not do any work you have not authorized. With over 30 years’ experience, Sydney Roof you can be assured that you are dealing with a company with integrity who recognizes you, the homeowner, as a valued part of your roofs continued health. We will help you whether your job is a small semi in the confined spaces that are Sydney or a large factory unit with space to spare. To Sydney Roof, all of our clients are important to us. Skyspan has a full range of Skylights and Roof Access hatches to suit all types of Australian Buildings and if we don’t have a standard product to suit your application we can design and build a solution to complement your requirements. 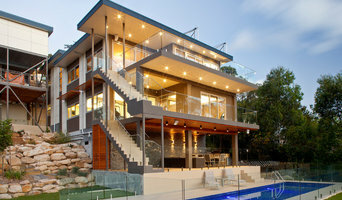 Based out of The Hills Shire District, Imakk Roof Restorations is one of the fastest growing companies in the industry. Offering a wide range of roofing services, Imakk Roof Restorations guarantees to repair, revive and restore your roof to its former glory. Imakk Roof Restorations is a family owned roof restoration company and a leading provider of High Quality, Professional and Friendly Roof Restoration Services. We go above and beyond to solve your roofing problems in, with a comprehensive range of roofing repair services carried out by experienced tradesmen. Combining our experience with the best roof products in Australia, you are guaranteed quality service and a quality finish. Your roof protects you, your family and all your possessions so don’t take chances and compromise the result with inferior workmanship and products. Imakk Roof Restorations offers products from the largest paint and coating manufacturer Dulux. Using Dulux’s AcraTex Roof Membrane products gives you peace of mind. As a Dulux approved applicator, Dulux themselves guarantees the finish and while we guarantee the workmanship for 7 years. At Imakk Roof Restorations we will advise you on how best to restore your roof. Restoring your existing roof is a cost effective alternative to re roofing, saving you time and money and making your existing roof look as good as new. Our cleaning process is so sophisticated that even the maintenance you usually would do, will be reduced. We use only the most quality products to make sure your roof is in the best condition and it will ultimately save you more money in the long run. Plus we know that every time we clean a roof, our customers recommend our services to a friend! Painting your roof is not just an aesthetic job; it is one of the basic aspects of maintenance and restoration. By painting your roof you are helping to avoid breakages that can lead to costly and damaging leaks. Having a well coated, protected roof surface will stop water penetrating, stopping the development of moisture and growth of mould and moss. At Imakk Roof Restorations our goal is to provide our clients with an IMAKKulate Result!! ABC Seamless has grown to become the largest supplier and installer of Seamless guttering in the broader Sydney, Central Coast and Wollongong market. Our primary product is aluminium seamless gutter. Seamless means no joins and aluminium means no rust. At Able Roofing our services include roof repairs, roof cleaning, roof restoration and maintenance, roof re-pointing, roof re-ridging, re-roofing and roof. Roofing and gutter contractors in Bellevue Hill, New South Wales can install a new roof, repair an old one or extend an existing one, as well as repair and replace gutters. They can inspect roofs and guttering after damage from harsh weather, and also offer services such as roof insulation, and general maintenance such as roof and gutter cleaning. Some specialise in specific types of roofs, such as tile, metal or Colorbond roofing. Here are some related professionals and vendors to complement the work of roofing & gutters: Building Project Managers, Specialty Contractors, Cladding & Exteriors, Doors, Garage Doors. Find a roofing company and gutter professional on Houzz. Narrow your search for professionals by selecting your nearest city or postcode. Look at portfolio and product photos, and read reviews to find the best roofing company and gutter professional for your Bellevue Hill, New South Wales home.